Skoda is very particular about safety and offers most of the features even with the base variants of its products which account for a significant addition to the car’s cost. In specific if we talk about Skoda Fabia, the car has been around for a while but when we look at its sales, it is certainly not a good selling car. 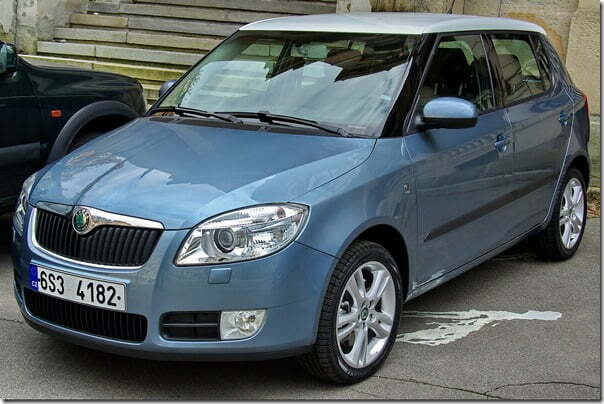 Skoda after such a long time is now considering launching two new variants of Fabia. They will low on price and less on features so that every hatchback buyer can opt the best variant as per his or her budget. The launch of the new models will take place on or after 15th September the deliveries will start from October. Presently the company offers Fabia in three different variants, Classic, Ambiente and Elegance. The two new models are to be called Fabia Active and Ambition and the same will replace the Classic and Ambiente respectively. As per experts, there will be a Rs.7000 to Rs.11000 reduction in the prices of the new models but at the same time they will come with less features also. As per speculations the company is likely to introduce two more variants, Active Plus and Ambition Plus. The Active Plus, beside the standard features of Active, will come with all-four power windows. Similarly the Ambition Plus will sport all-four power windows and folding keys in addition to the standard features offered with the Ambition standard. One of the important reduction will be of the airbags in the two new models. The Active variant will be deprived of the driver side airbag while the Ambition will neither have the driver nor the front passenger airbag. The top end Elegance variant will remain and same but the price of the same is expected to rise a bit. On the technical front the cars will still sport the same engine line-up, a 1.2 Litre MPFI petrol engine and a 1.2 Litre CRDI diesel engine. The pricing of the petrol variants of Active and Ambition is expected to fall around Rs. 4.4 Lakh and Rs. 4.85 respectively. The diesel variants of the same will be priced near Rs. 5.5 Lakh and Rs. 6 Lakh.